The front door of any property is the very first feature guests see and use this experience to base their overall opinion of the house. As such, it is crucial to choose wisely so as to convey the best possible impression. A great choice will contribute to the home’s aesthetics and also add functionality by keeping residents safe. It will also serve the homeowner for an extended period providing great value for money spent. We have a vast array of options to suit different budgets as well as preferences. These are available in wooden and synthetic varieties and come in different hues. They go above and beyond their ordinary roles to enhance air conditioning in the home by sealing against heat loss. The safety features are also top notch and they match the market’s top certification requirements. 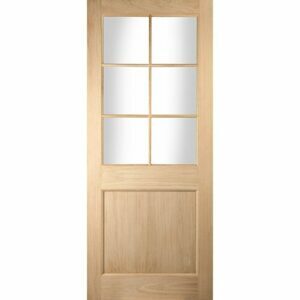 We also have a huge collection of oak doors. These are fashioned from the impressive Stave oak found in the Eastern parts of the US. It is used in a variety of patterns to create modern and old word patterns. Take advantage of the limitless possibilities we offer to give your home a facelift today. Timber is once again in vogue and householders are embracing the opportunity to use oak to add a touch of style to their homes. It has a certain evergreen appeal to it that is bound to stun observers and take your home to the next level of sophistication. Its naturally glazy refined surface provides a certain unique aspect that makes it the most appropriate choice for various house fittings. Everything from staircases and flooring and all other fixtures can surely benefit from this high appeal. More importantly, all material constructed using this hardwood is designed to last a lifetime. This makes it a highly cost-effective option since you will not need to carry out renovations, repairs or replacements any time soon after installation. This makes it the ultimate combination of quality and visual appeal. We are always looking for ways to make our customers happy and our new line of oak products does just that. Our new range of options in staircases, windows and hardwood external doors makes an important contribution to our existing product collection. Therefore, if you are looking for inspiration to renovate your home or a classy way to adorn a new house, we have all that you need to achieve that objective. Hardwood external doors in the collection are made with particular care to protect them from the elements. This is accomplished using top-of-the-range lamination and layering. This serves both as a guarantee of durability and contributes greatly to the amount of visual interest generated. The modern home owner will definitely find our foldable sliding door handy. It carries a catchy name “Canberra” and is designed to enhance your interior or exterior space in more ways than one. First, it does not take up much space as it does not open up like a regular door; it easily folds out to the side instead. Second, it allows maximum air and light-penetration thanks to its design. It is best suited for the terrace door and it is bound to blend perfectly with any household theme, contemporary or classic. Traditionalists are not left behind with the recent window design in the storm-sure made of oak and designed to appeal to lovers of nature. These ones exude a classy appeal and are loaded with practical aspects that ensure they live up to their name. The stairway has a much bigger effect on your home’s aesthetics than you might imagine. Investing in oak for this important part of the house ensures great looks and durability. It also makes it easy to create a uniform theme with the matching hardwood external doors and windows. Take the appeal a notch higher by choosing a custom design for your wooden staircase to make the ultimate statement. At Jeld-Wen, we turn every fantasy into a reality. All of our products including the new additions to our collection offer unmatched quality. They meet the industry’s highest standards and therefore ensure that you will enjoy top performance for as long as necessary. The oak we use for the new range or items is secured using proper channels. The forests providing the material are well maintained to ensure consistency as well as eco-friendliness. This is an assurance of proper care for Mother Nature’s gifts.